A friend in the industry who isn’t as analytical about the markets as I am (which is often a way better way to live!!!!) asked me for my opinion on this obviously overbought market. I relayed to him some of the comments I made in this blog about the lack of corrections, and in this blog surrounding my short termed worries – along with my longer termed market concerns as outlined in this blog. 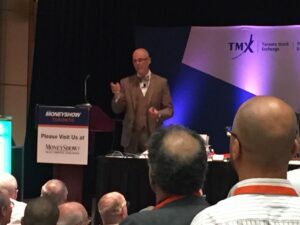 I also noted that one of the smartest quantitative data crunchers I have ever known, Jason Goepfert of sentimentrader.com, is equally perplexed over this markets prolonged lack of volatility. My friend asked me – given my observations of low breadth, high valuations, unfavorable sentiment readings, etc – why have we not experienced a correction? Especially given some of the data provided by Eric Parnell (US manager) noted in one of my blogs above. Basically, Parnell said that we are experiencing a never before seen lack of upside/downside stock market behavior. This lack of volatility has been historically unprecedented – and statistically works out to a 1 in a billion chance of occurrence. I summarized all of this by telling my friend that I call this market a NFM market. A NFM market (you heard it here first!) stands for a Nothing Friggin’ Matters”. I call it that because—nothing friggin’ matters any more. Korean bombs sailing over Japan? Buy more stocks! Trump can’t get anything approved? Buy more stocks! Trump might get impeached? Buy more stocks! Hurricanes reaping destruction? Buy more stocks! USD falls? Buy more stocks! Problems surrounding Brexit, Europe, Russia, China, Venezuela…. Buy more stocks! Oil is only $50 a barrel. Buy more stocks! In addition to some international investing, we are looking to buy the midcaps in the USA. The S&P 500 currently sits about 6% over its 200 day (40 week ) simple moving average. By my normal standards, this is not terribly overbought. I view 10% over the 200 day SMA as an ‘ahead of itself” indication. But it’s not cheap either. Meanwhile, the S&P400 midcaps (MDY) are about 5% over their 200 day SMA. Slightly less overbought. Given that I will be somewhat forced to deploy a good chunk of my cash into the market via the seasonal discipline in the coming days, I expect to place chunks of that cash into less-overvalued/ less overbought areas (there are no undervalued or oversold areas worthy of buying that I can find). There remains a decent chance of an interim correction before the end of this month, so perhaps that will provide a better entry opportunity. I will look for an entry before November 5th (end of the “worst six months”, seasonally speaking) and hold my nose when buying this ETF – and other stocks. That’s how a discipline works. While I will hold some cash back for a while, ultimately you need to go in if your discipline involves the seasonal strategies. Remember, you can always sell out if the market declines with a break of the 200 day SMA. That’s a sell rule that I’ve discussed here and I strongly recommend you review that blog to refresh your own sell procedure. I’m speaking in Toronto on November 4th on macro market timing. Here is the link for the details – everyone is welcome.